I am currently using a samsung mobile which is oviously an Android powered mobile.I always get a notification that a firmware upgrade is available.That's why I tried to upgrade the firmware.Everything was going correct and the mobile displayed a downloading mode.After that I got a message that the Upgrade failed.The problem started from there.Now it asks me to do an emergency recovery but i am not able to access the recovery mode.However I am able to access other modes like Download mode (Power+Q) and emergency Dload Mode (Power+E).Please help. The problem with the Kies application is such that the phone might not have gotten any internet connection from the server. Also there might be low battery with the phone these two might be the reason for the phone not upgrading so please check whether these can be solved. If they are solved you will be able to update your phone properly. Also if you mention the phone model correctly we will be able to help in a more clearly defined path. 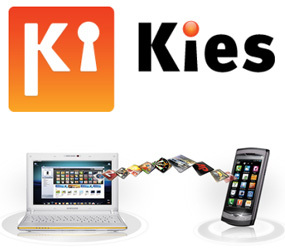 Hello friend, There are so many reasons for this.Before updating kies filmware you have to clear all the apps from your phone by moving it to sd card or by any other means.Then go the kies official website and open apps block and there enter your model number.Then you find the upgrade option click it.then your handset is upgraded.